Our team has recently come across a free app for Android called Hide My IP. If you have ever experienced a website or video being blocking in your country, such as Netflix, Youtube videos, Spotify, or BBC, Hide My IP will hide your true location, preventing websites from blocking you. The app allows one to apply an alternate VPN IP to use on any Android device. What is VPN? VPN is a method of routing your traffic through an alternate location or server. 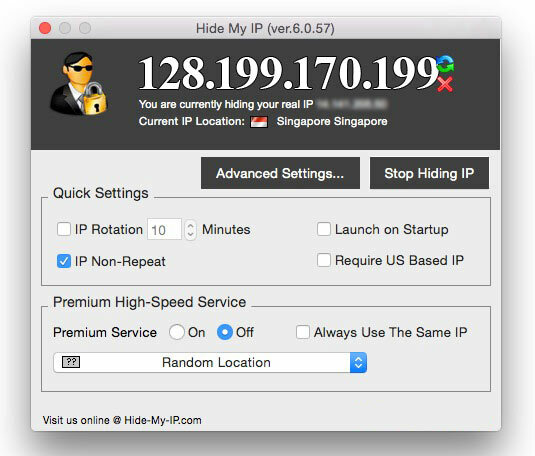 Hide My IP only uses the most secure VPN, OpenVPN with 256-bit encryption. This allows your traffic to be hidden from your Internet Service Provider (ISP) as an extra benefit. Users behind firewalls that block or filter websites such as at an office or university can also benefit from using a different IP from Hide My IP. Opening Hide My IP on Android will display a list of locations. Just tap a location from the list to connect automatically. That's it. Your IP will be changed for any web browser on your device and all apps that use your Internet connection. Using a VPN service such as Hide My IP can improve your connection speed and stability. You may notice slowness or an unstable Internet connection depending on your ISP's routing configuration. By change your IP address, Hide My IP can improve your Internet routing configuration, causing an alternate path to be used to access a website, and possibly allowing the website to load faster with improved reliably. 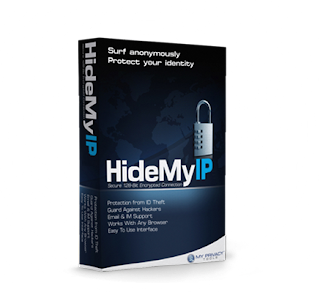 Hide My IP offers Windows and Mac versions of it's app as well for a one time fee of $29.95 USD. This includes a lifetime of access to all IP locations and lifetime technical support. There is not yet an iPhone/iPad edition of Hide My IP. Hide My IP for Android is free, however the number of IP locations are limited unless a full license is purchased. You can purchase using our link below. This is fine if you just want to hide your IP address and do not need to use a specific IP location. Great post!! The app allows one to apply an alternate VPN IP to use on any Android device. What is VPN? VPN is a method of routing your traffic through an alternate location or server. 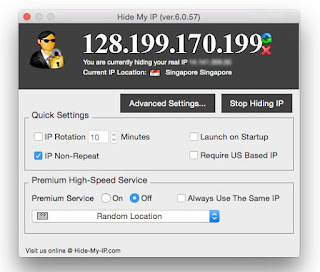 Hide My IP only uses the most secure VPN, OpenVPN with 256-bit encryption. Thanks for sharing!! !